The new BiciSport Happy Wheels shop ride departs from the Happy Wheels shop @ Waterloo @ 6am @ every Thursday (cancelled if wet). Patrick Conway near La Perouse. Stew (Computa) Campbell leads the group ride on the new BiciSport Happy Wheels ride every Thursday morning from 6am. All welcome but note its cancelled if wet. 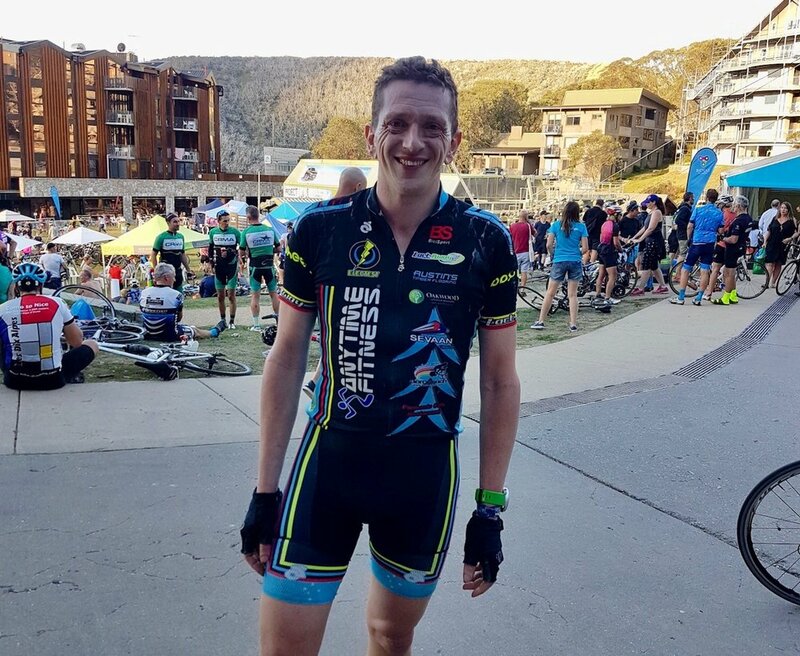 * Three Peaks Challenge Falls Creek @ 11 Mar - Tom Green rode the 3 Peaks strongly which included the famous Omeo valley climb to the back of the Falls Creek ski resort. * New BiciSport group ride launched - Stew Computa Campbell has launched a new BiciSport group ride departing @ 6am every Thursday from outside the Happy Wheels Waterloo shop. The route is to La Perouse & return via Mascot. All Welcome. For further details contact 0417 403 244. * Motor traffic conditions are now heavier with the resumption of the NSW School Term. 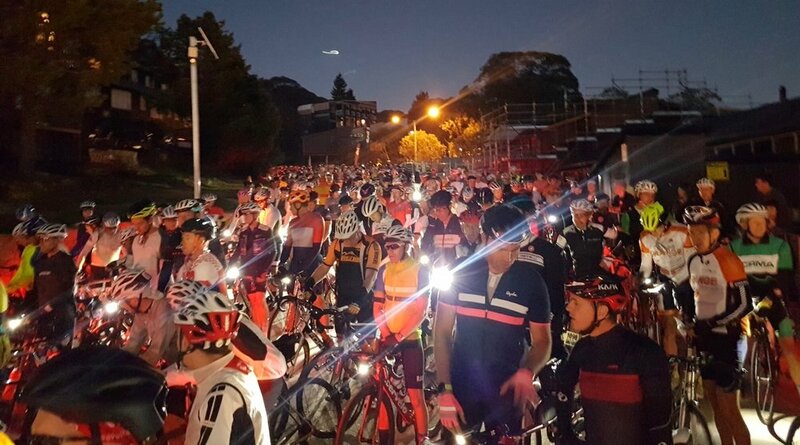 * 14 Mar (Wed) - Berowra Gruppetto @ 7.30am @ opposite Berowra Railway Station for 60k to Calga & return. BiciSport in Flanders 18 - Daniel Vanechop, Mike Lawson & Brian Sprouster are off to Flanders next week for their first taste of Belgian Spring Classics. Mike O'Brien (now living in London) will complete the BiciSport team. They are joining 20 fellow Aussies from both Newcastle & Manly clubs who are following the Spring Classics this year. A detailed BiciSport in Flanders 2018 diary will be posted in the News Section of this website from 20 March until just after Paris Roubaix on 8 April. * Mar 21-22 - De Panne Semi Classic - A one day Elite Mens event (Mar 21) coupled with a Womens Elite World Cup one day event (Mar 22). 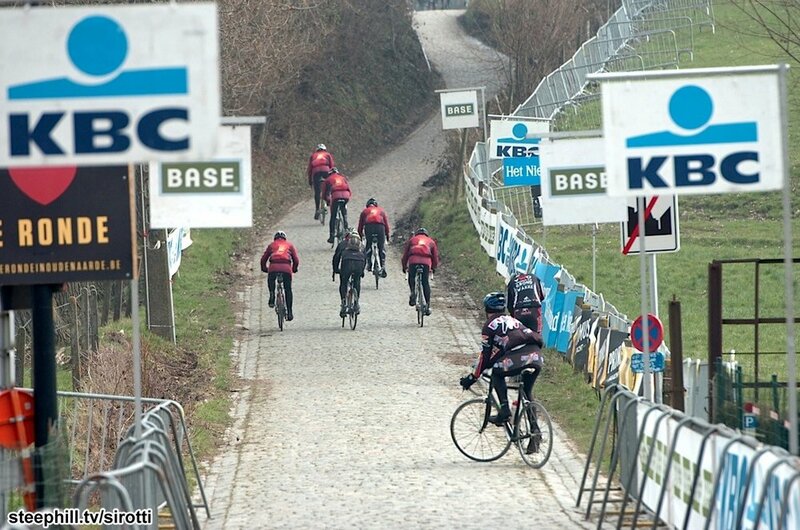 Both events start in Bruges and finish in the coastal town of De Panne with a climb over the cobbled Kemmelberg. * Mar 23 - E3 Grand Prix Harelbeke Classic - a Friday World Tour event over similar roads and bergs to the Tour of Flanders. * Mar 24 - Ghent Wevelgem Cyclosportive - over 135k with a start & finish in Wevelgem (where the pro race finishes) with a loop out to the cobbled Kemmelberg & the Menin Gate at Ieper. * Mar 25 - Johan Museeuw Classic Cyclosportive - starts & finishes in Harelbeke with the usual Flemish bergs near Oudenaarde on offer. * Mar 25 - Ghent Wevelgem Classic - now starting in Deinze (20k from Ghent) with three Kemmelberg loops plus a Wevelgem finish. * Mar 28 - Dwars Vlaanderen Classic - a switch of dates (with De Panne) places this new World Tour event in the prime calendar spot just before the Tour of Flanders. * Mar 31 - Tour of Flanders Cyclosportive - start & finish in Oudenaarde with 17,000 starters. * Apr 1 - Tour of Flanders Classic - the ultimate one day Classic now starting in Antwerp with an Oudenaarde finish. The Womens Flanders race starts in Oudenaarde. * Apr 7 - Paris Roubaix Cyclosportive - starting & finishing at the famous Roubaix Velodrome with the cobbled roads built by Napoleon.